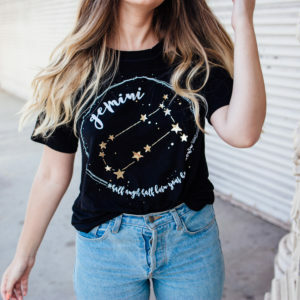 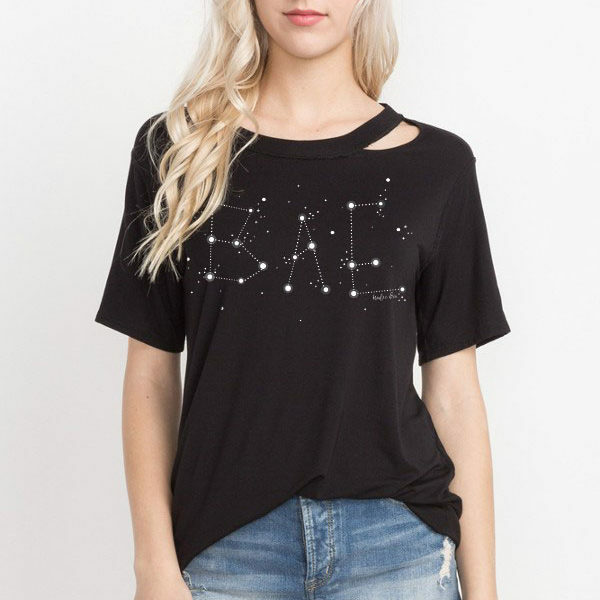 BAE Constellation | Brixlee & Co.
Our BAE Constellation Tee will have leave you STAR-STRUCK as soon as your get your hands on it. 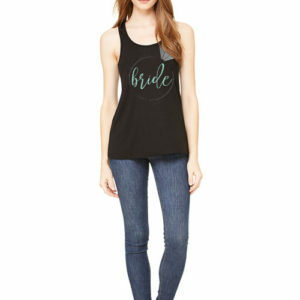 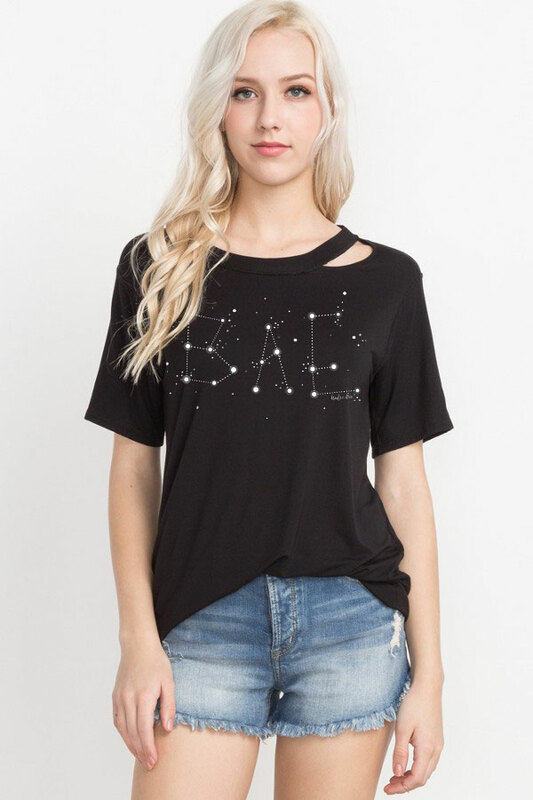 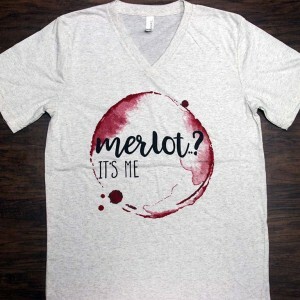 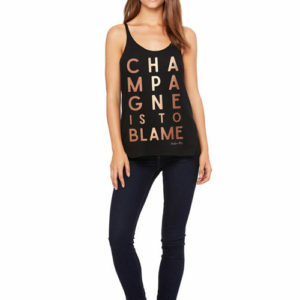 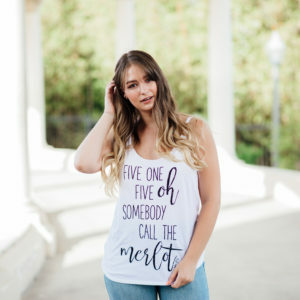 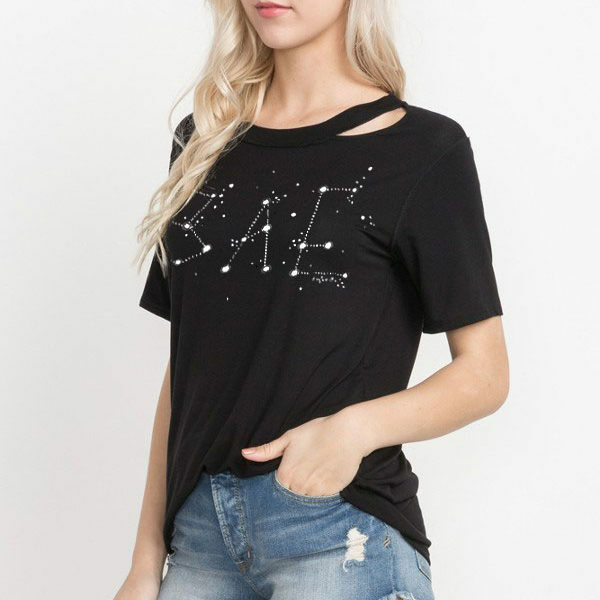 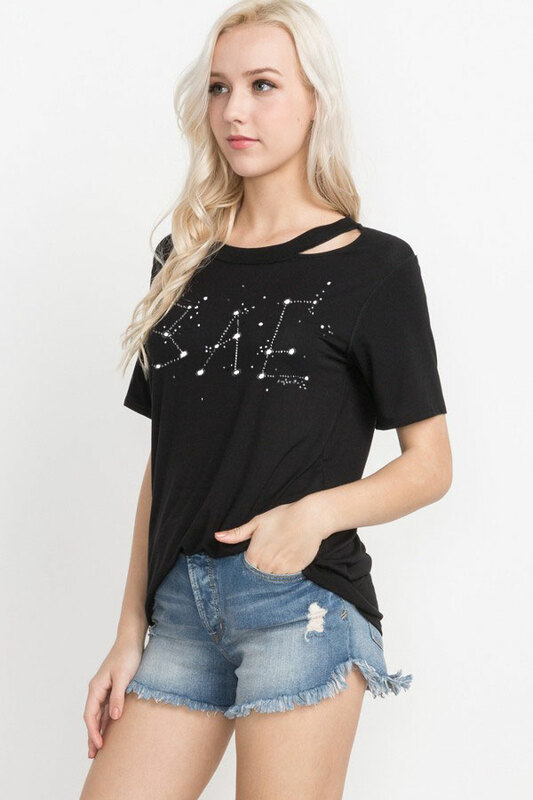 The BAE Constellation Tee is a loose fitting, comfy tee with an edgy neckline cut-out. 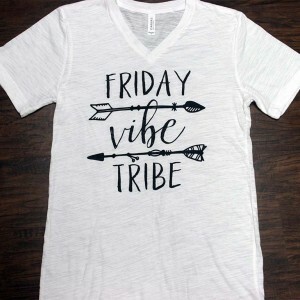 Constructed from a soft bamboo blend. 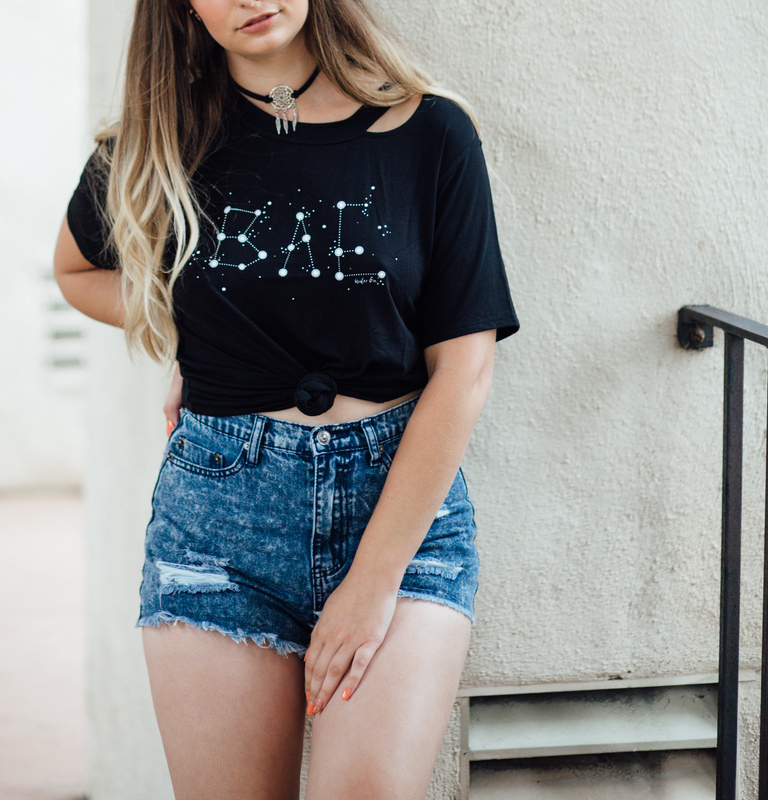 In Crisp Black.